I’ve been writing a lot about the new breed of mobile virtual network operators emerging in the U.S., but it’s been hard to track just how well these MVNOs are performing because many of them only report subscriber numbers sporadically, if at all. But GSMA Intelligence, the research arm of GSM Association, has crunched some numbers giving us an idea just how big the MVNO market has become. Since MVNOs are by definition “virtual,” they buy their network access from the big nationwide providers. Mobile operators like Sprint(s s) and AT&T(s t) track all of those connections as part of their wholesale category, which includes machine-to-machine (M2M) communications. GSMA Intelligence found that at the end of the second quarter the Big 4 nationwide operators, plus Clearwire and U.S. Cellular(s usm), had 70 million of these wholesale connections, which should account for the vast majority of M2M and MVNO links in the U.S. Furthermore, the research group was able to break out the percentage of MVNO links for three of the major operators: Sprint(s s) (50 percent), T-Mobile(s tmus) (59 percent) and AT&T(s t) (49 percent). That means those three operators have a combined 23 million MVNO connections. Since GSMA Intelligence couldn’t get hard numbers from the other operators, it wouldn’t extend its MVNO analysis to the entire market. But if you were take the lowest percentage (AT&T’s) and factor it into the entire wholesale market, quick back-of-the-napkin math gets you a number of around 34 million total virtual operator subscribers. I should note that’s hardly scientific, but it’s a reasonable guess. Given that there are about 335 million mobile connections in the U.S., 34 million MVNO connections would mean that one in every 10 mobile links is through a virtual operator. GSMA Intelligence estimates that MVNOs have grown the total number of mobile connections in the U.S. by more than 4 percent in the last two years. The majority of those subscribers belong to TracFone Wireless, which is owned by multinational America Móvil(s amex) and therefore reports its subscriber numbers quarterly. At the end of Q2, TracFone and its brands Straight Talk, Telcel América, Net10, SafeLink and Simple Mobile had 23 million subscribers (basically the sum total of Sprint, AT&T and T-Mobile’s connections). The rest of the MVNO market is a bit murky, but we occasionally get a glimpse into the numbers. 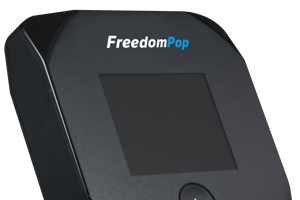 For instance, FreedomPop recently told us its surpassed 100,000 subscribers for it freemium mobile broadband service. Multi-level marketing MVNO Solavei reported it had 65,000 customers last November after only two months of operation on T-Mobile’s network. (Update: Solavei contacted us to let us know that its subscribers now total 100,000.) And Ting, a Sprint virtual operator that specializes in metered voice, SMS and data plans, posted 25,000 connections at the end of the second quarter. Right now the MVNO scales tip heavily to a single provider — TracFone — while dozens of smaller boutique and retail brand MVNOs like Wal-Mart Family Mobile split the remaining 12 million connections. Still, the virtual carrier market is only growing. We seem to be seeing new MVNOs sprouting up monthly that target increasingly specific consumer segments. In May, Sprint MVNO Zact went live, offering consumers the ability to minutely tailor their mobile plans for specific types of data and app usage. In July, GIV Mobile was born, donating a portion of every monthly bill to the charity or charities of its customers’ choice. This fall we’ll see the emergence of five new Sprint MVNOs — all managed by Defense Mobile Corporation — that each target the active-duty soldiers and veterans of each branch of the U.S. Armed Forces. DT, just fyi. Tracfone does not have any operations in India, everything outsourced does not mean India. Feel free to provide feedback through the link in the footer!